Anyload is a manufacturing company that specializes in the development and production of weighing components like scales and load cells. The Anyload products have recognition and acceptance in a wide range of industrial and technical applications. Anyload has also an ISO 9001 certificate. The company is fully committed to quality, with a high technical approach and in constant innovation. Anyload is devoted to meet and exceed all the international weighing standards and features in most of its products the OIML and NTEP certificates. Here in globind.com we have in stock a wide variety of product by Anyload. These are top notch equipment with excellent manufacturing quality standards and with high technology, resulting in products with great performance and durability. Among the products that we have in stock by Anyload are: Load Cells, Test Weights, Weight Indicators and Displays, Junction Boxes, Dial Scales, Module Weights, and Hardware and Accessories. This is a high quality product that can handle a range of capacities from 10 klb to 100 klb. 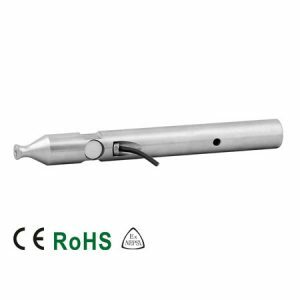 The product has Stainless Steel construction and features IP68 rating. With a safe overload of 150 % and a breaking overload of 300 %, the product design allows center link loading applications and features also OIML and NTEP certificates. It can meet implementations in Truck Scales, Tank Weighing Systems, and other applications taking place in weighing assemblies. This is a versatile and general purpose Weight Indicator with high accuracy and high reliability with a wash down enclosure of Stainless Steel. The 805BS is ideal for food, medicine, and other portion-related activities. The 805BS has NEMA and NTEP IIIL certifications. It features IP66 ratings. This is a weighing assembly which design satisfies compression configurations, and primarily on tank weighing industrial applications. This ready-application is comes with a center loaded double ended shear beam and has a high resistant Alloy Steel body. It features a self-aligning link design that allows multi-directional movements. Its installation is very easy and quick. This product is ideal for any situation where high capacity compression weighing solutions are needed. All these products above are high quality and high technology solutions for a multiple variety of situations. The products above are just a few of the multiple solutions by Anyload in the Weighing field. You can check out the rest of the products here in globind.com, and find the best solution for your requirements in any of the applications you need, in any range of capacity and whatever type of product you are looking for. Contact Us!! Anyload 1 K Single Ended Beam Load Cell 563SHBB delivers reliable and accurate weighing for a broad variety of industrial and technical weighing applications. Anyload 1 Klb Single Ended Beam Load Cell 563YH delivers reliable and accurate weighing for a broad variety of industrial and technical weighing applications. Anyload 1 T Single Ended Beam Load Cell 563YHFK delivers reliable and accurate weighing for a broad variety of industrial and technical weighing applications. 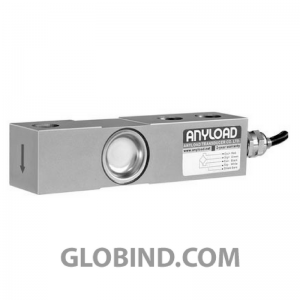 Anyload 1.25 Klb 563WS-YZ Stainless Steel Single Ended Beam Load Cell delivers reliable and accurate weighing for a broad variety of industrial and technical weighing applications. Anyload 1.5 Klb Single Ended Beam Load Cell 563YH delivers reliable and accurate weighing for a broad variety of industrial and technical weighing applications. 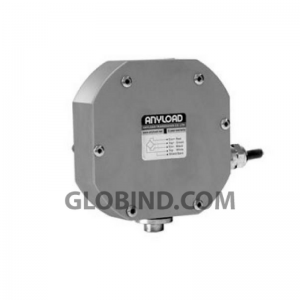 Anyload 10 kg Single Ended Beam Load Cell 563RS delivers reliable and accurate weighing for a broad variety of weighing applications. Anyload 10 Klb 563WS-YZ Stainless Steel Single Ended Beam Load Cell delivers reliable and accurate weighing for a broad variety of industrial and technical weighing applications. Anyload 10 Klb Single Ended Beam Load Cell 563YH delivers reliable and accurate weighing for a broad variety of industrial and technical weighing applications. 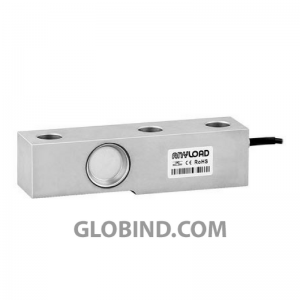 Anyload 10 T Single Ended Beam Load Cell 563YHFK delivers reliable and accurate weighing for a broad variety of industrial and technical weighing applications. 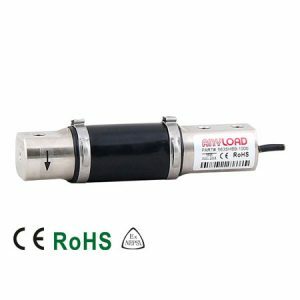 Anyload 100 kg Single Ended Beam Load Cell 563RS delivers reliable and accurate weighing for a broad variety of weighing applications. Anyload 100 lb Single Ended Beam Load Cell 563SHBB delivers reliable and accurate weighing for a broad variety of industrial and technical weighing applications. Anyload 100 lb Single Ended Beam Load Cell 563YH delivers reliable and accurate weighing for a broad variety of industrial and technical weighing applications. The Anyload 100 lb Single Ended Load Cell 563SH delivers reliable and accurate weighing for a broad variety of industrial and technical weighing applications. 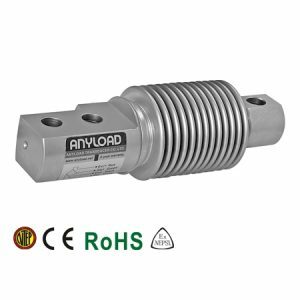 Anyload 101AH S-Beam Load Cell 1 kg delivers reliable and accurate weighing and a variety of industrial and technical weighing applications. Anyload 101AH S-Beam Load Cell 10 kg delivers reliable and accurate weighing and a variety of industrial and technical weighing applications. Anyload 101AH S-Beam Load Cell 2 kg delivers reliable and accurate weighing and a variety of industrial and technical weighing applications. Anyload 101AH S-Beam Load Cell 20 kg delivers reliable and accurate weighing and a variety of industrial and technical weighing applications. 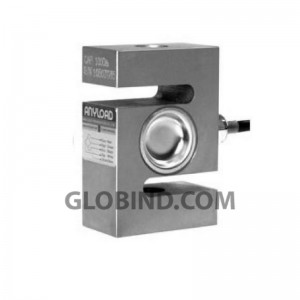 Anyload 101AH S-Beam Load Cell 30 kg delivers reliable and accurate weighing and a variety of industrial and technical weighing applications. Anyload 101AH S-Beam Load Cell 5 kg delivers reliable and accurate weighing and a variety of industrial and technical weighing applications. Anyload 101BS S-Beam Load Cell 1 K delivers reliable and accurate weighing and a variety of industrial and technical weighing applications. Anyload 101BS S-Beam Load Cell 10 Klb delivers reliable and accurate weighing and a variety of industrial and technical weighing applications. Anyload 101BS S-Beam Load Cell 15 Klb delivers reliable and accurate weighing and a variety of industrial and technical weighing applications. Anyload 101BS S-Beam Load Cell 2 K delivers reliable and accurate weighing and a variety of industrial and technical weighing applications. Anyload 101BS S-Beam Load Cell 2.5 K delivers reliable and accurate weighing and a variety of industrial and technical weighing applications. Anyload 101BS S-Beam Load Cell 20 Klb delivers reliable and accurate weighing and a variety of industrial and technical weighing applications. Anyload 101BS S-Beam Load Cell 3 Klb delivers reliable and accurate weighing and a variety of industrial and technical weighing applications. Anyload 101BS S-Beam Load Cell 5 Klb delivers reliable and accurate weighing and a variety of industrial and technical weighing applications. Anyload 101BS S-Beam Load Cell 500 lb delivers reliable and accurate weighing and a variety of industrial and technical weighing applications. Anyload 101NH S-Beam Load Cell 1 K delivers reliable and accurate weighing and a variety of industrial and technical weighing applications. 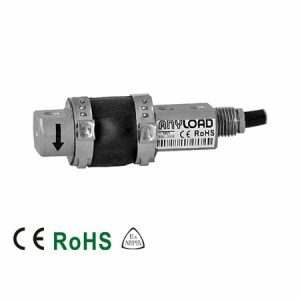 Anyload 101NH S-Beam Load Cell 1.5 K delivers reliable and accurate weighing and a variety of industrial and technical weighing applications. Anyload 101NH S-Beam Load Cell 10 Klb delivers reliable and accurate weighing and a variety of industrial and technical weighing applications.